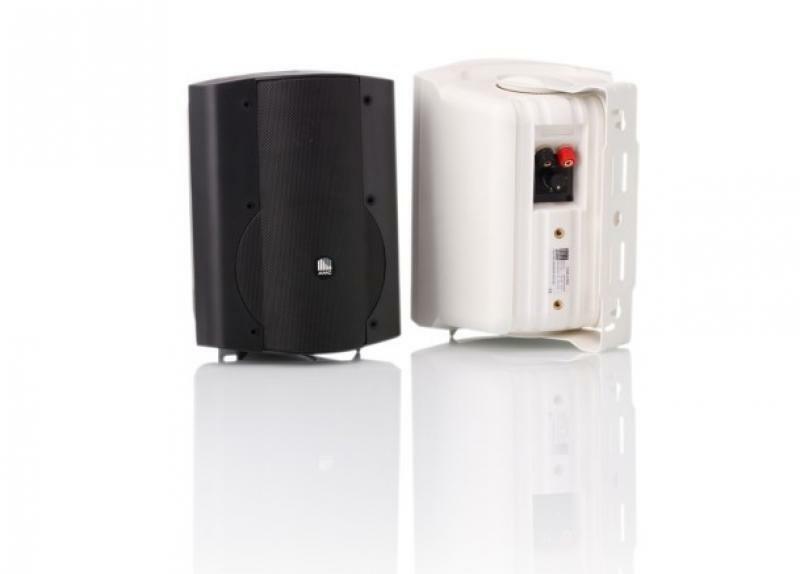 VIVA3-302T 25W, ABS plastic housing with metal grill cabinet loudspeakers with built-in 100 V transformer. Rotating logo is used to adjust logo in a right direction for horizontal or vertical mounting. U-bracket, three colour choice, transformer with power taps, 8Ω extra power tap. VIVA3-302T has built-in 3" (76 mm) woofer and 1" (25 mm) tweeter.